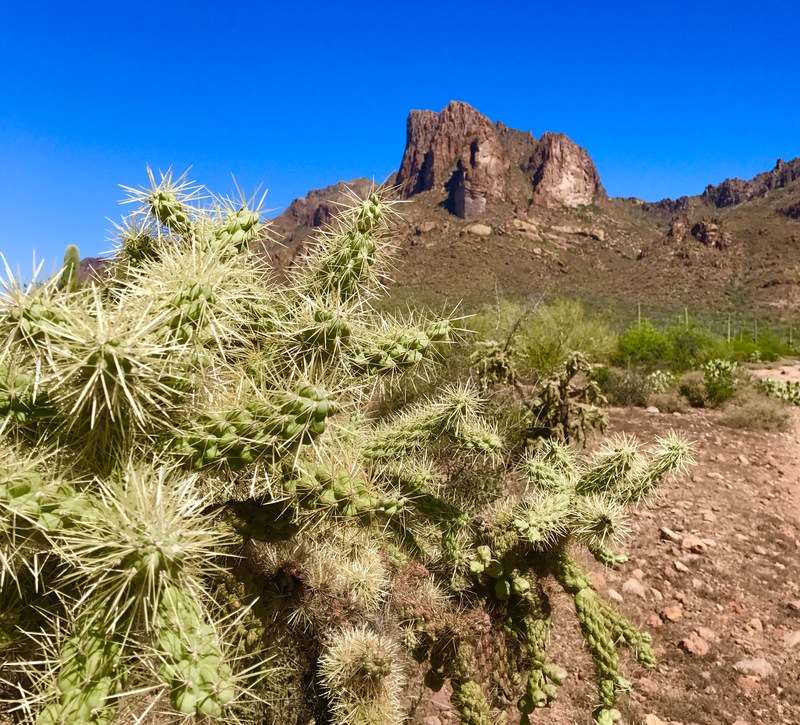 A cholla cactus alongside the trail. Our destination is just below the peak in the background. 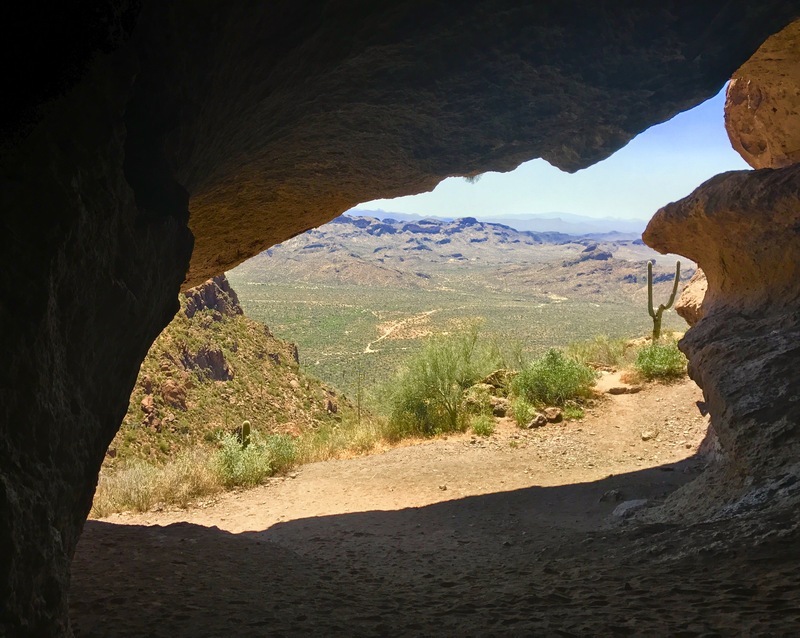 We’re out in Arizona visiting our daughter, and Saturday morning was spent making the short (just over a mile and a half) but very strenuous hike up to the Wave Cave in the Superstition Mountains. 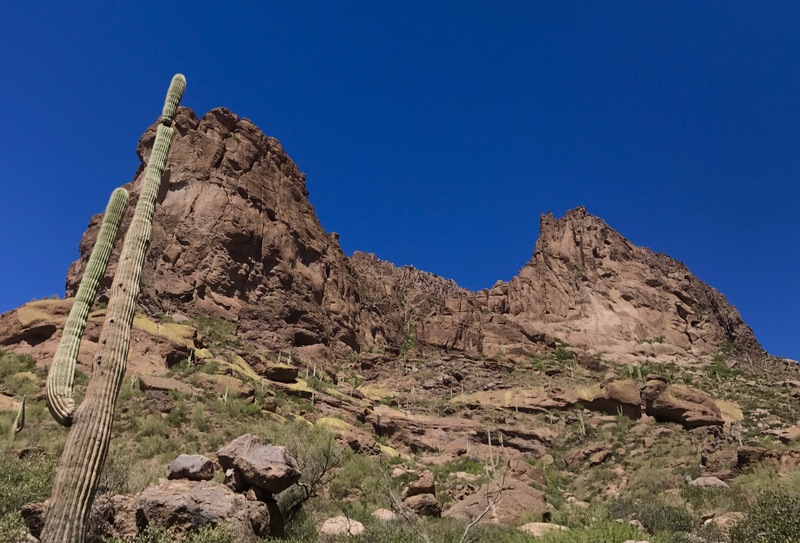 Temperatures near 90º and a bright sunny day made this hike a little more tricky. It was worth the effort, though. 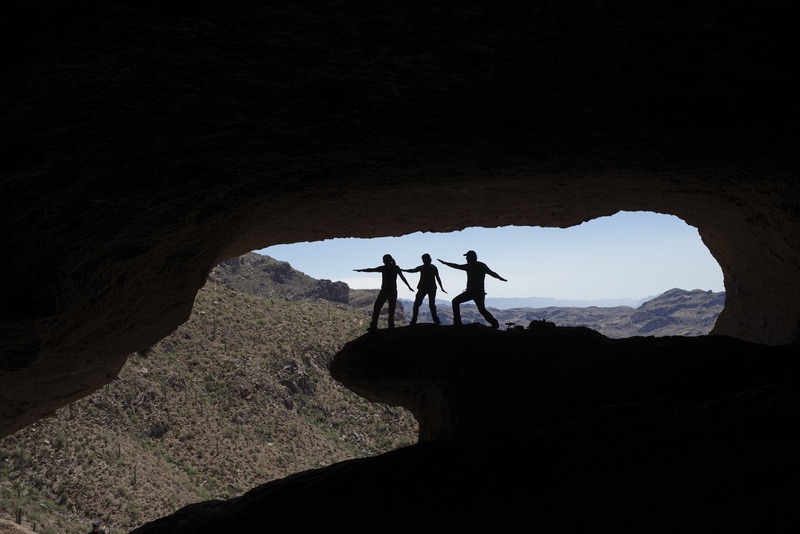 The views from the cave were outstanding, and it was fun watching everyone “riding” the wave of the rock formation. 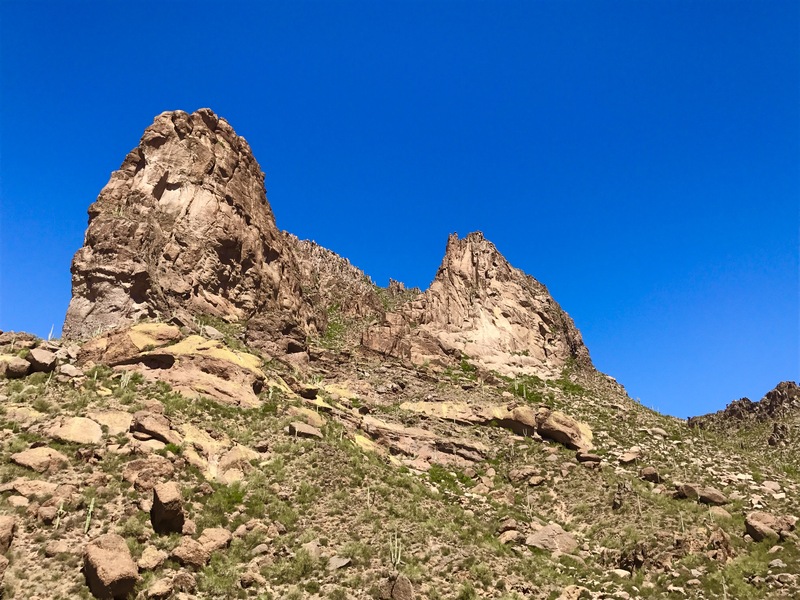 The Wave Cave is just below the second peak on the right. The view from the cave.